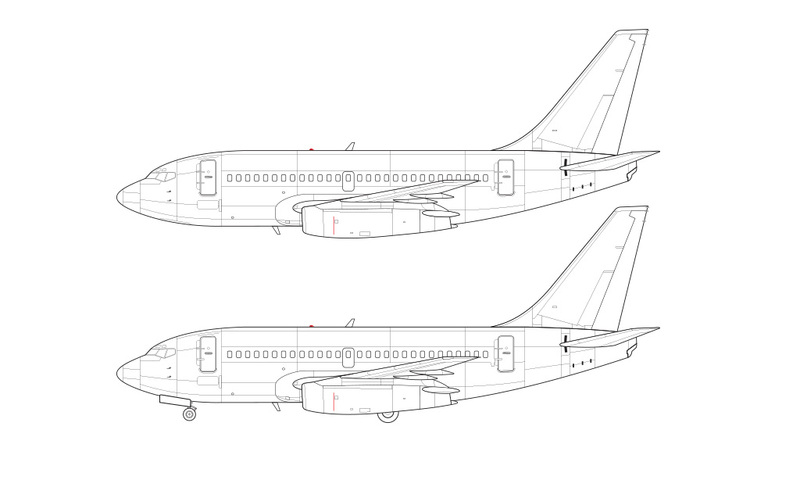 There is no greater feeling in life than committing to draw every single variant of the Boeing 737 and then actually completing it. 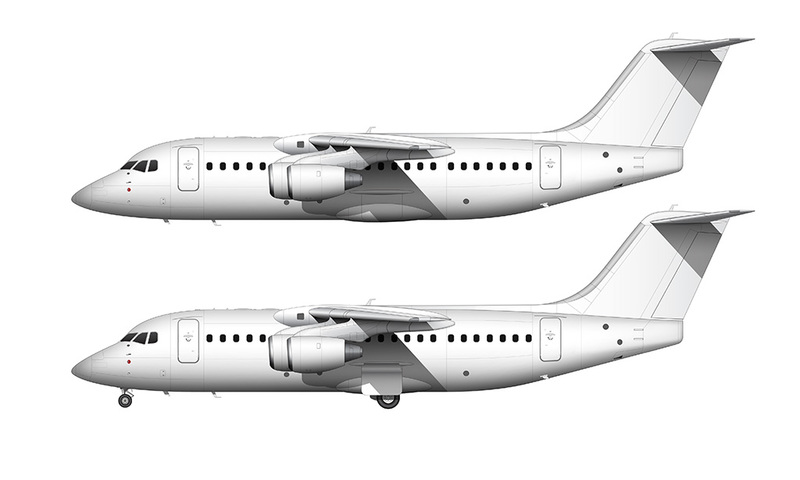 Well, that’s a slight exaggeration (lol) but I’ve got to tell you that I’m feeling a huge sense of satisfaction right now as I just put the finishing touches on these 737–100 illustrations not five minutes ago. That’s not to say that was a totally epic experience or anything. The 737 line was without a doubt the most difficult series of aircraft templates that I have created to date, primarily based on the sheer number of versions there are, each requiring a ton of research to figure out how they differ from every other model. The funny thing is that the entire process of drawing these 737–100 illustrations was a lot less exciting than I thought it was going to be. For some reason or another, I had it in my mind that the -100 was significantly more different than the -200. 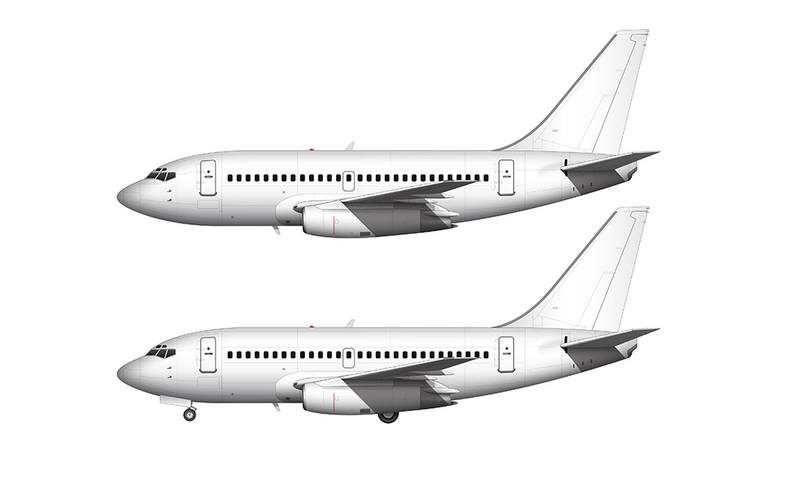 After all, it was the launch version of the 737 line, and I had assumed incorrectly that there were some very significant unique visual attributes to the -100 that didn’t carryover to any other model. For example, I thought (for sure) that the -100 had an external communications antenna that extended from the vertical stabilizer down to the top center of the fuselage. 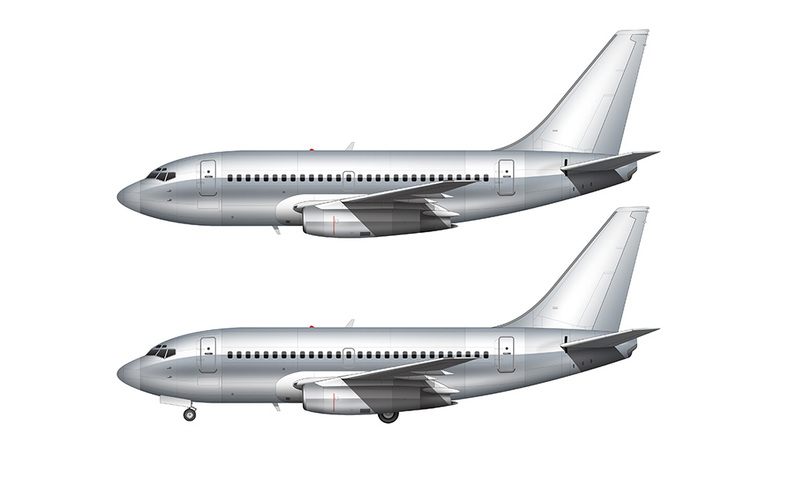 I could’ve sworn that I’ve seen pictures of that wire on original 737s many times over the years, but when doing the research to create these illustrations, I discovered that it never existed on this model at all. It was actually added to a cargo variant of the -200, and it was never a thing on the -100. Interesting! Something else I learned during the research process was the fact that the modified engines with the redesigned thrust reversers came very early in the 737-100 production cycle, meaning that the original version (with the shorter engines) didn’t last very long. As a matter of fact, nearly all of those original-engined -100s received this thrust reverser retrofit in a very short amount of time due to how much of an important safety upgrade it was. It was frustrating to not be able to find any good pictures of the very first 737-100s (with the shorter engines) as they rolled off the production line in 1968. The lack of decent reference material makes creating these templates a challenge, so my apologies if I didn’t get it looking 100% correct. As a bonus, I thought it would be fun to create some versions of this original 737 in bare aluminum. This was an aircraft designed and built in the 1960s after all, so it seems only right to include the unpainted versions that expose all of that beautiful retro sheet metal! So there you have it! The entire 737 line of illustrations is now complete, and even though it feels great to have it done, I’m even more excited about the fact that I can now move on to other aircraft types. Keep in mind that I’m still planning on doing the cargo versions of some of these early 737s (with gravel kits too), but I won’t be making separate posts about those. I’ll simply add them to the existing posts that I have already written, just so it doesn’t slow me down and I can focus more on illustrating instead of writing. The A321neoLR don’t have the second door, it has 2 emergency exits in the middle and the third door was a little behind. Finally the 737 family is complete! Now you go do the 707 family? You’re welcome! And yeah, I couldn’t resist doing the bare aluminum version too – it just seems like a natural thing to do with these older airplanes!